Facebook has allowed users to add reactions beyond the basic ‘like’ for a while now, and even allows reactions in comments. The feature has been popular, since it’s offered users a way to more appropriately react to a particular status or post, rather than simply hitting ‘like’ for everything. Following Facebook’s lead is Microsoft-owned LinkedIn, which is popular for its career and business-focused approach to social networking. LinkedIn now also allows for reactions, although these are quite different to the ones on Facebook. LinkedIn already allowed users to like posts, but has now added four additional reactions. 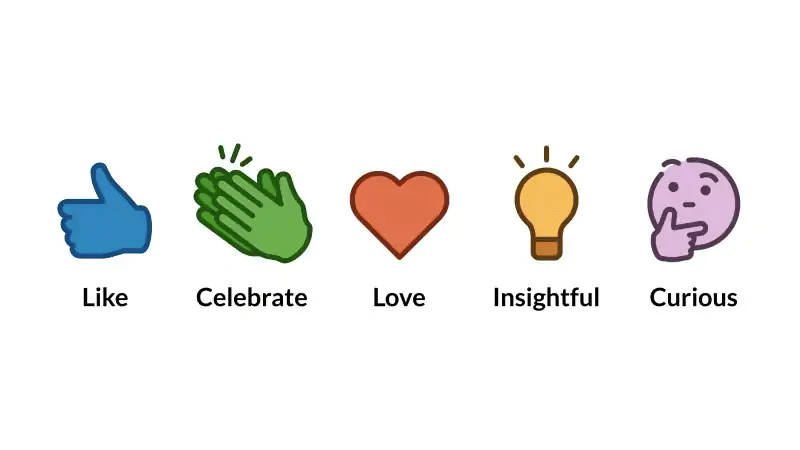 Users can now react to posts with ‘celebrate’, ‘love’, ‘insightful’, and ‘curious’, which are admittedly more business-centric and fit in better with LinkedIn’s focus on helping users build career and business contacts. Of course, the easiest reaction is still ‘like’ which only takes a tap or a click, but like on Facebook, a long-press or hovering over the icon will allow users to see the additional reactions. The reactions are quite appropriate for the kind of posts you would typically see on LinkedIn. For example, the ‘celebrate’ reaction can be used for career milestones, such as starting a new job or completing a number of years at a particular job. Similarly, the ‘insightful’ and ‘curious’ reactions would work in situations where a post goes into details on a professional venture or anecdote. Of course, like on Facebook, most users will likely continue to go with the ‘like’ option, simply for its ease of use. The social networking service has started to roll out the feature today, but it will likely be a while before all users around the world see the ability to react to posts beyond the ‘like’ option. Eventually, reactions will be available both on the Web, as well as through the mobile apps for various platforms.